Granges need to find their unique and individual combination of ingredients for successful marketing, then stir it up with your Grange’s history and mission, and you will find the finished product will be a newsworthy presence that will be sought after by the general public. • Grow your presence locally first, then reach outward. 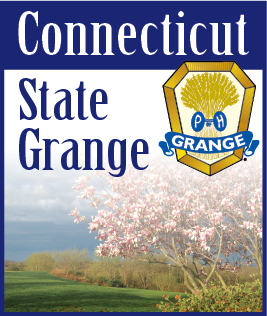 • Keep your printed Grange brochures, handouts, posters and business cards updated and current. • Participate in local festivals, shows, fairs, and events. Show your presence. • Don’t rely solely on social media. Combine traditional publicity methods with online marketing. • Don’t be afraid to try new ideas and think outside the box. • Choose wisely where you want to spend your marketing time. Be an active participant in endeavors in which your Grange is involved. As with your favorite cake recipe where the consistency of the batter is important to the finished piece, consistency in your Grange promotion and marketing efforts is important to your Grange’s success. If you or your Grange needs assistance in planning your promotions, please contact the Public Relations Committee.